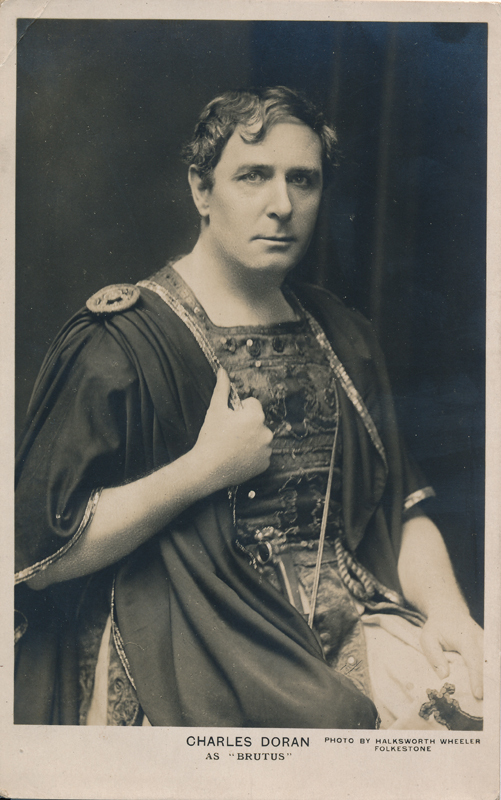 Like so many actors who played Shakespeare, Irish-born Doran made his stage debut with Frank Benson in Belfast’s Theatre Royale in 1899; he had a part in Julius Caesar. 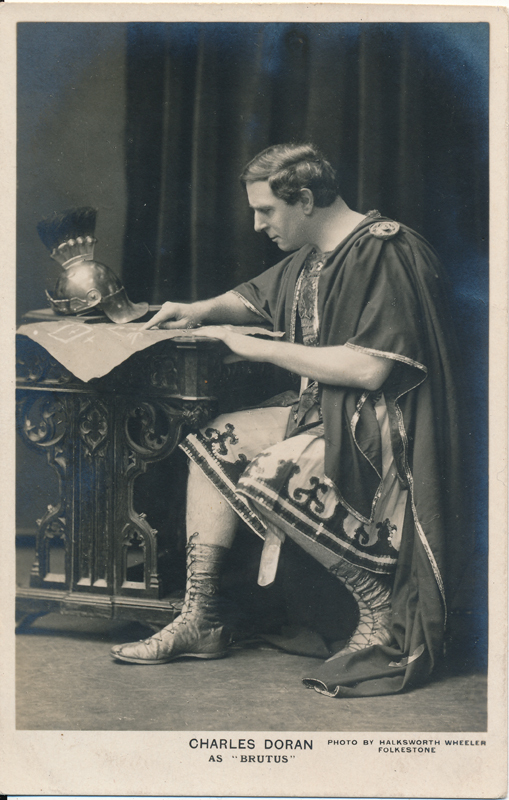 The next year, 1900, again with Benson’s company, he first appeared in London at the Lyceum as MacMorris in Henry V. He played with Benson, doing mainly Shakespeare, until he left in 1903 to perform with several different companies. In 1906, he made his first trip to the US with H.B. Irving, and a year later to South Africa with Cora Brown Potter‘s company. In 1908, he toured with Mrs. Patrick Campbell’s company and in 1909-1910, he toured England and Australia with the company of fellow Bensonians Oscar Asche and Lily Brayon. 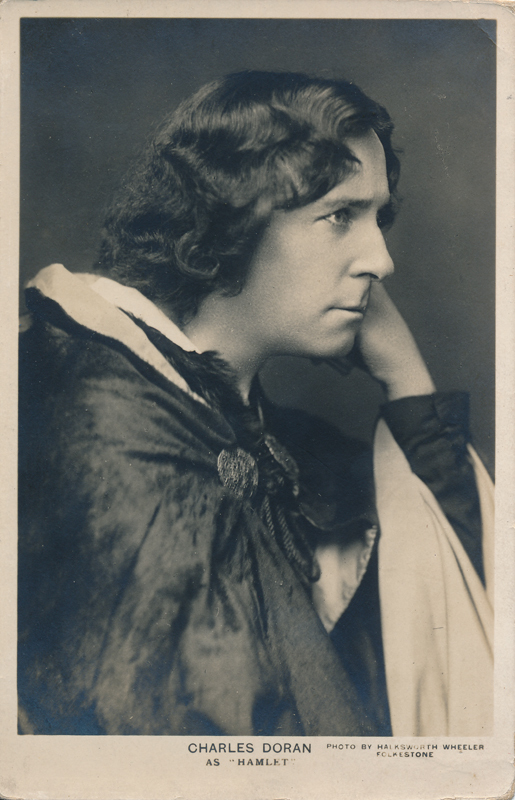 In 1919, Doran performed back in Stratford in The Merry Wives of Windsor, Romeo & Juliet, and The Tempest. 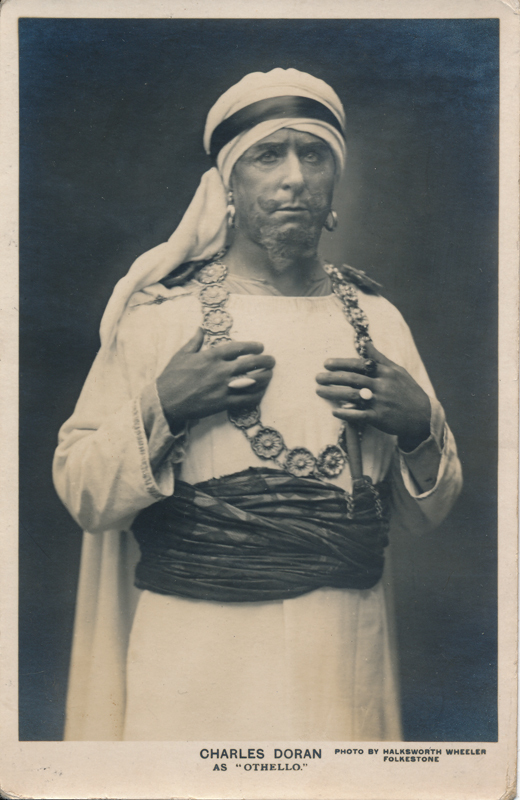 With seventeen years experience with various directors and actors, Doran struck out on his own in 1920 and became actor-manager of his own company; he then appeared as practically every major character in most of Shakespeare’s plays. In 1931, he embarked on yet another path when he went to India to become first the director of Shakespeare’s plays at the State Theatre in Jhalawar and then on to Bombay where he performed primarily in Shakespeare on the radio. He returned to England in 1937, still acting in Shakespeare. His last part was in 1951 as Time in The Winter’s Tale. But he was still active on the stage in other parts until 1954; he even went on to film, where he played one part in 1956. 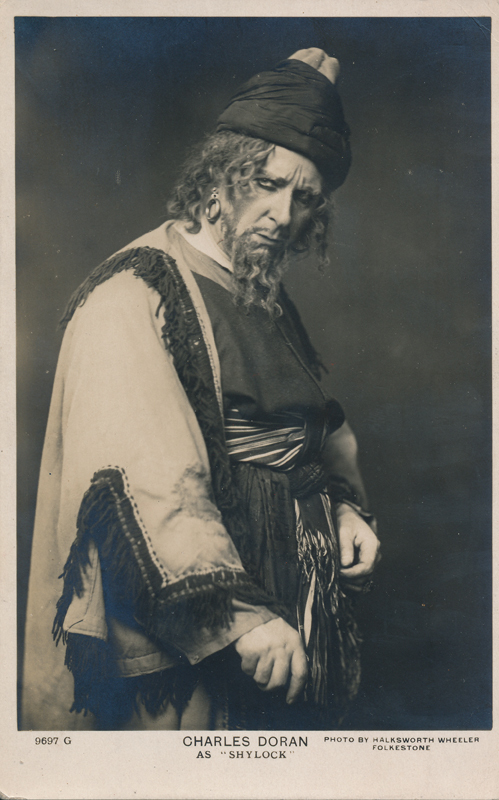 On stage in one role or another, Doran’s fifty-seven years in the theater made him a major force in the profession, particularly in his productions of Shakespeare. Such was his energy and enthusiasm that he kept alive for a few more years the actor-manager system when the major talents, men like Tree, Benson, and Irving, had dissolved their companies. Doran was indeed the last of his theatrical breed.